Water conservation has become part of daily life. Here are some water saving tips for various areas of your home. These tips will not only conserve water, but will also keep your water bills down and save you money. Check the watering schedule for the right time and day to water for your address. Each spring thoroughly check your system when you first turn it on, and repair any leaks as soon as possible. Check your controller settings to avoid excessive watering. 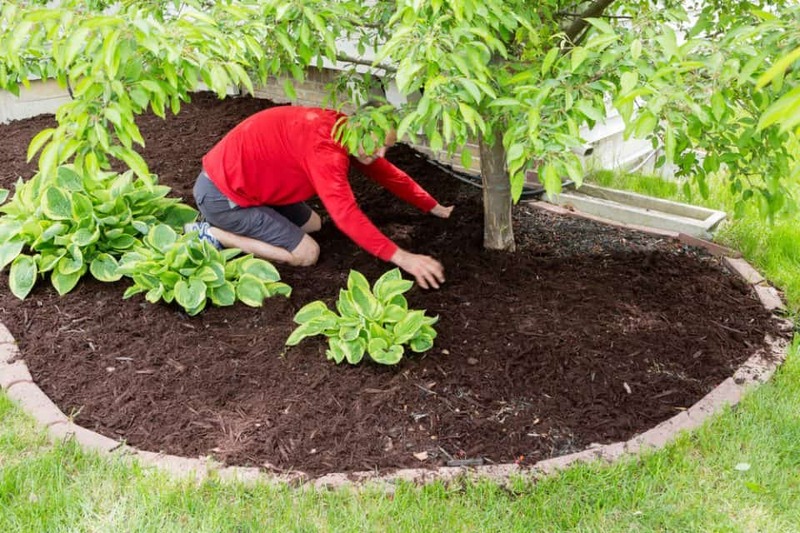 Start with low times and add more time if areas of stress appear in your yard. Water in the early morning hours when temperatures and wind speed are the lowest to reduce evaporation and waste. Your lawn needs no more than one inch of water weekly, even in the hottest time of year. Remember to take rainfall into account. Water less often in spring and fall — once every two weeks compared to once a week in the summer. Turn your system off for the cold weather, but run it a few times over the winter months to prevent problems in the spring. Adjust sprinklers so they’re only watering your lawn and not paved areas. Realign sprinkler heads that spray too high, onto pavement or structures, or into tall grass or shrubs. Make sure sprinkler heads haven’t been broken or knocked out of alignment after mowing. Use drip irrigation to apply water directly to the roots for bedded plants, shrubs, and trees. Use a dishwasher rather than wash dishes by hand, and run only full loads. Efficient dishwashers can use as little as four gallons per cycle. Scrape food from plates and don’t pre-rinse them. Newer dishwashers and detergents can clean dishes without pre-rinsing. Don’t leave the water running if washing dishes by hand. Fill one sink with wash water, and another sink or container with rinse water. Soak pots and pans rather than running water over them while you scrub stuck-on food. Use a bowl or basin for washing fruits and vegetables with a vegetable brush, rather than running water. Water your plants with the wash water. Chill water in the refrigerator instead of running water until it’s cold. Cook food in as little water as possible. Pour the leftover water from cooking pasta and vegetables on plants (if no salt was used). Scrape food into the garbage or start a compost pile instead of running the garbage disposal. If you must use it, run it only once a day to reduce water use. Install a low-flow aerator on your kitchen faucet. Free aerators are available for Austin Water customers. If shopping for a new dishwasher, buy the most efficient model you can. The Consortium for Energy Efficiency has developed a list of energy and water-efficient models. Replace older toilets with WaterSense labeled models that use 1.28 gallons per flush, or consider installing a dual flush model that can use even less. Check your toilet for leaks by adding a few drops of food coloring in the tank. If it appears in the toilet within a few minutes without flushing, you have a leak that most likely can be fixed by replacing the flapper or rubber washer. A small leak can waste hundreds of gallons a month. Repair running toilets and dripping faucets promptly. Take shorter showers — 5 minutes or less. For baths, fill the tub half full or less. Don’t run the water continuously while shaving or brushing your teeth. Use a bucket to catch water in the shower while you’re waiting for it to warm up, and use that water for flushing toilets, watering plants, or running the garbage disposal. Wash only full loads. For partial loads use the lowest water level setting. Check washer hoses for cracks that could result in leaks. When shopping for a new washer, replace your old one with a water-saving model. Check the water requirements of different brands and models. Use a broom, not a hose, to clean your driveway or sidewalk. Wash your car at a commercial car wash that recycles water. When Stage one restrictions are in effect, vehicles can’t be washed at home. If you do wash your car at home during the Conservation stage, park on the grass, and use a bucket of water with car soap, and a hose with an automatic shut-off nozzle. Try using a waterless cleaning product to wash your car. Grow Green is a gardening educational program that has free landscape design templates, a list of drought-tolerant plants native or adapted to the area, and other gardening information to help you develop sustainable landscaping practices. Add 2 to 4 inches of compost or bark mulch around plants and trees to discourage weed growth and help maintain moisture in the soil. Use unglazed clay pots (ollas) to irrigate your bedded plants. Seal the drainage holes, then bury the pots so one inch shows above the ground. Fill with water and cover. Water will seep through the porous clay and irrigate the plant roots. Refill the pots once or twice a week. Raise your mowing height. The taller grass encourages the growth of deeper roots and shades the soil to reduce the moisture loss. Select drought-tolerant plants, and group plants together with similar water needs. For lawn installations choose a turf mix or blend suitable for climate and site conditions. Don’t over-seed your lawn with winter grass that needs watering. Warm season grass, such as St. Augustine and Bermuda, goes dormant over the winter, and may receive enough precipitation from rainfall without supplemental irrigation. For hard to water sections, such as steep slopes, and isolated strips, plant shrubs and groundcover rather than turf. Wash pets outdoors in an area where the lawn needs water. Aerate your lawn at least once a year to allow water to reach the roots rather than run off the surface. To prevent over-watering of plants, use a shovel, trowel, or soil probe to measure the soil moisture depth. Water if the top two to three inches is dry. A free soil moisture meter is available from Austin Water. Use a timer on hose-end sprinklers to prevent over-watering. Plant in cooler temperatures when plants require less water. Weed your garden beds to cut down on water consumption due to plant competition. Use 1/4 to 1/2 inch of compost to top dress turf to increase healthy soil, which holds more water. A properly maintained sprinkler system will help to conserve water and save you money! 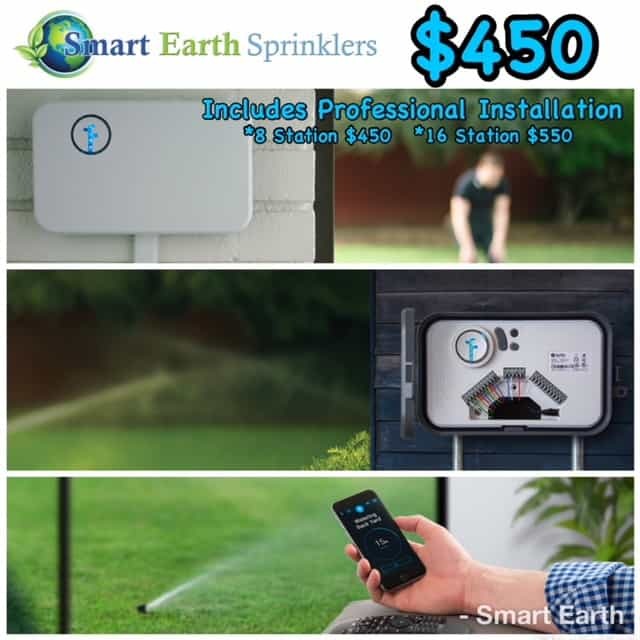 Call Smart Earth Sprinklers at (512) 694-1147 for prompt and professional service.